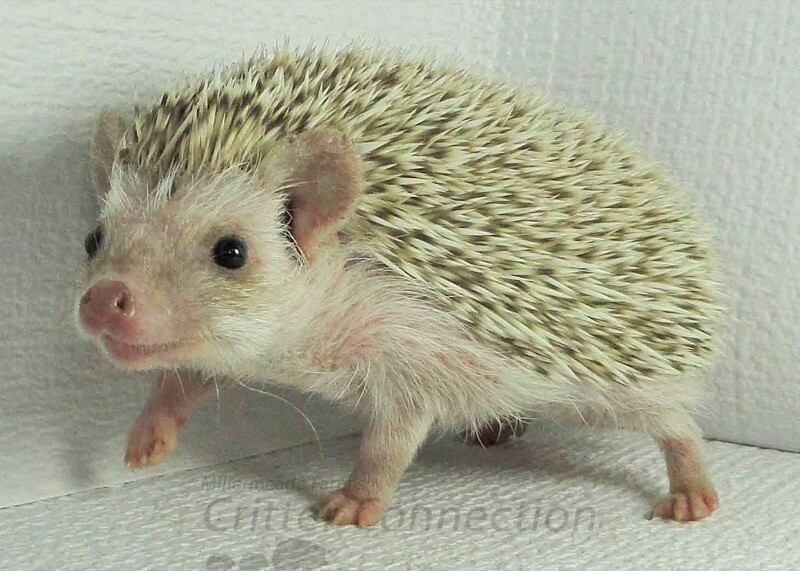 The following is a list of things to observe both in selecting a hedgehog as a pet and as a way to identify potential problems with your pet. 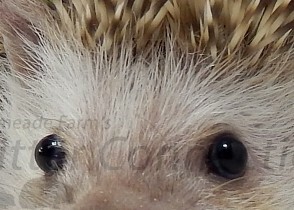 Check it’s eyes to make sure they are bold, clear, round, and bright. The eyes should be wide open. The eyes should not be watery or sunken or dull. They should not have any discharge or matting of the fur around the eye. 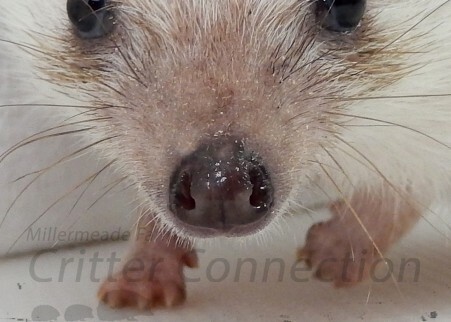 The hedgehog’s nose should be moist and clean. It should not be dry, bubbly, or running. Keep in mind hedgehogs have an excellent sense of smell so that nose is likely to be busy sniffing you or the air to check out it’s surrounds. 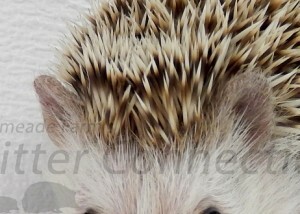 Your hedgehog’s ears should be clean with no drainage or crustiness of the fur at the base of the ear. 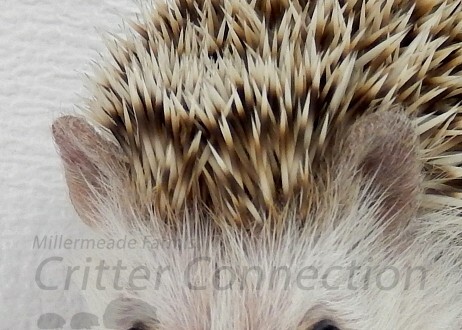 There should be no flaking or “finger-like” projections on the outer part of the ear. 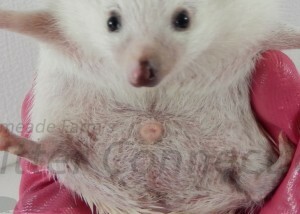 Some hedgehog babies may have ear damage that occurs during birth or at a young age. 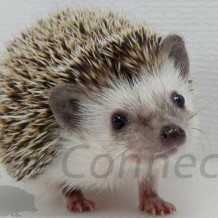 As long as the wound has healed a less than perfectly shaped ear should not affect its quality of life or health status. Missing quills or bare patches may be a sign of mites. 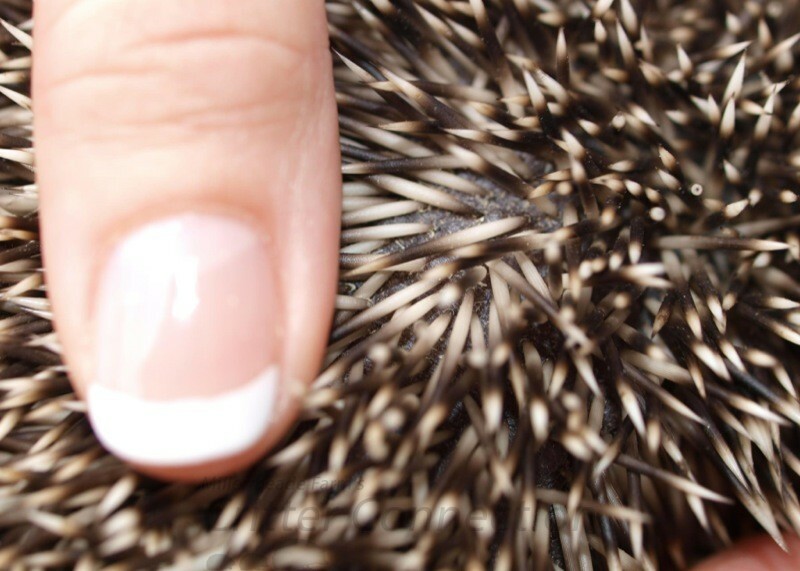 Some colors of babies may appear to have thinner, less dense quills and may look a little bare when their spines are erect and still be perfectly healthy. 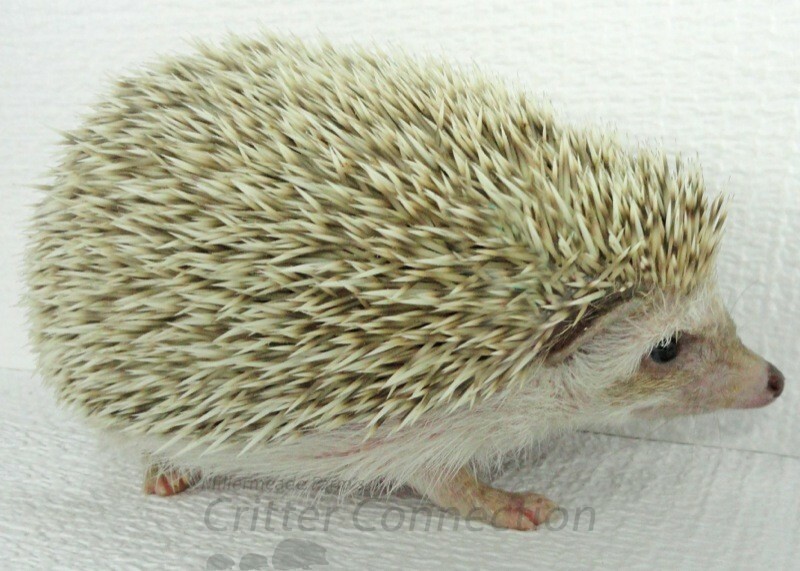 Your hedgehog should move freely without limping, wobbling, or dragging it’s feet. 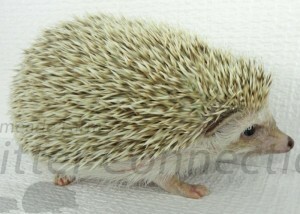 A hedgehog’s normal gait will create a “pitter-patter” sound.